Daniel Boone's Great Escape by Michael P. Spradlin and Ard Hoyt is the story of a specific event in Daniel Boone's life. He was captured by Shawnee warriors and learned of their plan to attack his family's settlement in Kentucky. He escaped because he wanted to warn the settlers. The story goes that he ran for more than four days and a total of 160 miles to get to Kentucky in time. 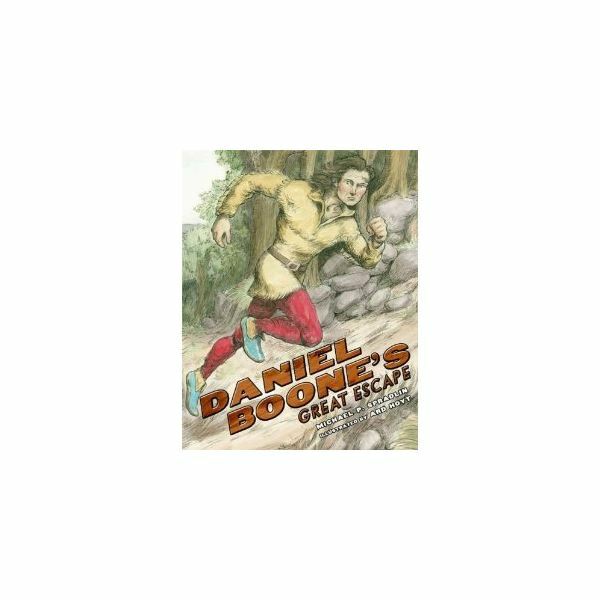 Teachers can use this book with any elementary classroom to introduce Daniel Boone's adventurous spirit. The Trailblazing Life of Daniel Boone and How Early Americans Took to the Road by Cheryl Harness is another book to introduce unit lesson plans on Daniel Boone. 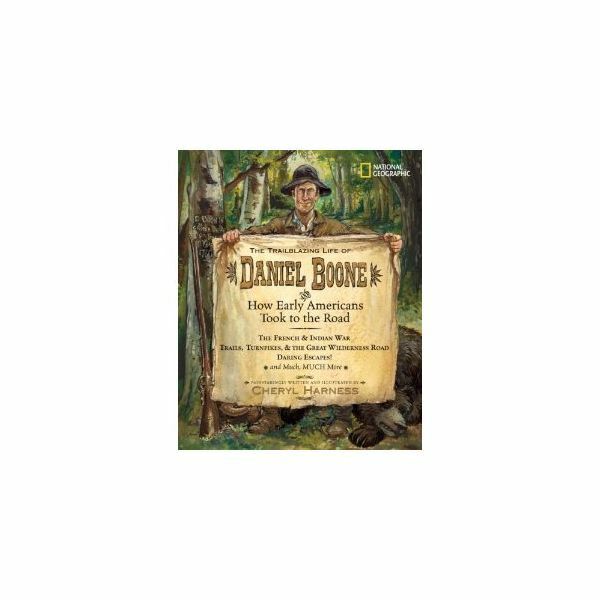 This one is a more comprehensive life story of Daniel Boone, who lived to be 86 years old. Harness tells of his childhood in Pennsylvania, fighting in the French and Indian War, blazing the Wilderness Road across the Applachian Mountains and settling in Kentucky, and rescuing his daughter from Shawnee warriors. Harness is a popular author and illustrator of history books for children. Students can map Daniel Boone's adventures on a map of the eastern United States, including living in Pennsylvania in his youth and crossing the Applachian Mountains into Kentucky. After reading books and learning other information about Daniel Boone, play a trivia game with students. You can divide them into two teams. For a Daniel Boone question, each team sends up a player to answer a question. Try to create questions where students can write answers on a dry erase or chalk board. The first student to get the correct answer receives two points for her team. Any student with a correct answer receives one point. Team mates can be available for consultation and help with answers. Create a Daniel Boone scavenger hunt for students. Ahead of time, place different objects, such as a cut out of Kentucky or a hat like Daniel Boone wore, in different places around the school. Give students clues, and ask them to be pioneers and hunt for these objects. Each group should have a disposable camera to take a picture of the object once they find it. Create a Daniel Boone word puzzle for students using a free puzzlemaker such as the Crossword Puzzle Maker. Ask students to imagine they are Daniel Boone, and write about one of his adventures like a diary entry. Assign an acrostic poem to students, using Daniel Boone, Cumberland Gap, Kentucky, or pioneer. Tell students to imagine what it would be like to be a pioneer in the 1700s and travel to a new settlement. Students should write about what they would take, what the journey would be like, and what they would see and do once they got to their destination. Daniel Boone was a larger-than-life historical figure, and students will enjoy learning about him and doing activities and writing assignments.